ANALYSIS | For the first time, the electoral pact between Umno and PAS has proved successful. After several false starts during the past four by-elections, the Cameron Highlands by-election saw BN winning the parliamentary seat with 54.73 percent of the vote. This is nearly the same proportion of votes that BN and PAS secured collectively (55.23 percent) during the 14th general election in Cameron Highlands. Such levels of motivation among members of either party had not been witnessed in the past four by-elections, unless their own party had fielded a candidate. After BN candidate Ramli Mohd Nor was confirmed as the winner, acting Umno president Mohamad Hasan credited the coalition’s alliance with PAS as one of the reasons for Ramli’s victory. A preliminary analysis of the results by Malaysiakini revealed that the Orang Asli were the most motivated to vote. 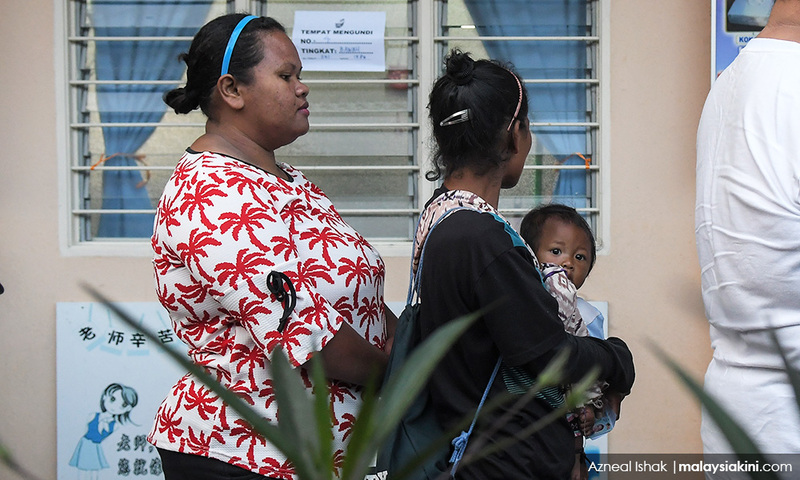 An estimated 79.8 percent of voters in the nine Orang Asli-majority polling districts – where Orang Asli make up around 95 percent of the voters in each area – turned up to vote. This is far higher than that the average turnout of 68.79 percent across the constituency. 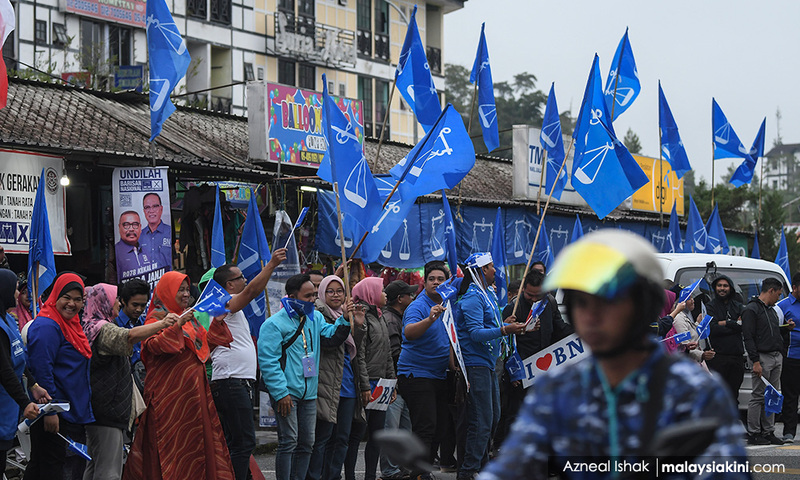 The community still proved to be strong supporters of BN, which is Pahang’s state government, although the coalition's vote share is estimated to have dropped from 95 percent during the 14th general election to 75.57 percent now. The Malay turnout for yesterday’s by-election is estimated to be 70.46 percent, again higher than the constituency average. Harapan made minor gains – below two percent – in all but one Malay-majority voting district, but was unable to challenge the combined might of Umno and PAS. In contrast, the turnout rates for Chinese- and Indian-majority areas – where Harapan was most successful – were below the constituency average. The turnout among Indian voters was the poorest. It is likely that many have moved out of the constituency. On the surface, BN's campaign strategy centred less on policy and more on Harapan's failure to live up to its GE14 promises. Covertly, BN and PAS had dispatched their vote canvassers to make house visits to convey their main message – that Harapan candidate M Manogaran was not one of their own and should be rejected. Virtually every night, BN and PAS would join hands for small-scale soapbox speeches in Malay villages across the constituency, warning locals about why DAP was a threat to them. Malaysiakini's interviews with voters in Malay enclaves found that many equate Manogaran with rioters accused of killing firefighter Muhammad Adib Mohd Kassim last November. Complicating matters for Harapan was the fact that no one has been held accountable for Adib's death. Harapan had rolled in a long list of ministers and deputy ministers, including Prime Minister Dr Mahathir Mohamad, to counter BN's racial rhetoric but to no avail. While it is difficult to argue that Mahathir's role in the by-election campaign had an impact, the same cannot be said of former prime minister Najib Abdul Razak, who inadvertently became the face of BN's campaign. Najib often campaigned from dawn till dusk, stopping often for selfies and engaging with voters, while parading his new laidback ‘Bossku’ persona. He would repeatedly tout BN's contributions to the local community while constantly poking fun at the federal government over the latter’s gaffes. 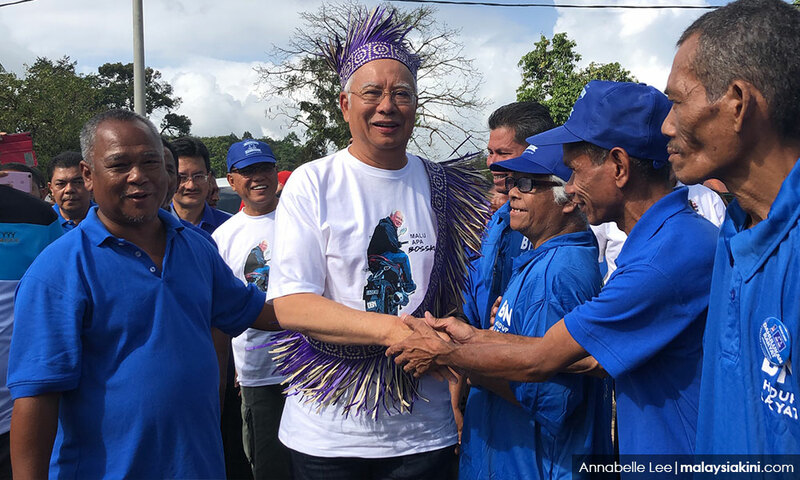 He was influential enough to attract attention from DAP's most recognisable leader Lim Kit Siang, who constantly warned voters that a win for BN in Cameron Highlands would mean a win for Najib. Interestingly, despite Lim’s predictions, none of Umno's top leaders credited Najib for the win after the results were announced. However, a source close to Najib said that the former premier received many congratulatory messages from friends and party members after BN’s win was confirmed.